Mobile applications have become a pivotal need for any business that wants to deliver efficient and intelligent solutions to its customers. There’s a high demand for mobile applications that support both offline as well as online functionalities. With the rise in usage of smartphones based on different mobile operating systems, developers look for a platform that eases the mobile app development roadmap. 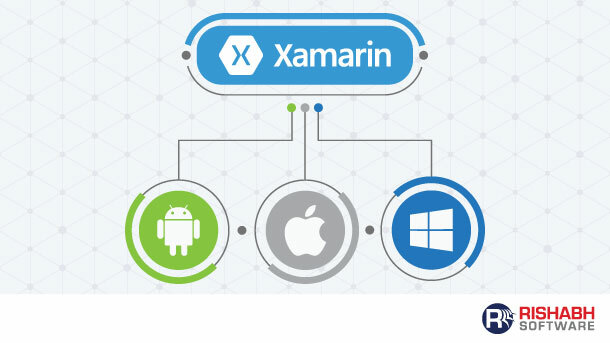 Xamarin is one ubiquitous cross-platform app development solution to build native apps, web apps or a combination of both. And the new Xamarin 4 has brought some major enhancements that help developers to build integrated and complex mobile applications rapidly. It lets them reuse the code up to 95% and carry out functions similar to what they did in Java, Objective-C or Swift. These features offer various benefits such as handling mobile crashes, tracking usage metrics, creating unique platform-specific user interfaces (UI) and automating the testing process. However, the best part of Xamarin app development is its plugins. Not only does it allow you to create fully native applications for iOS and Android but also gives 100% access to APIs on mobile platforms. That’s what the Xamarin plugins were developed for. 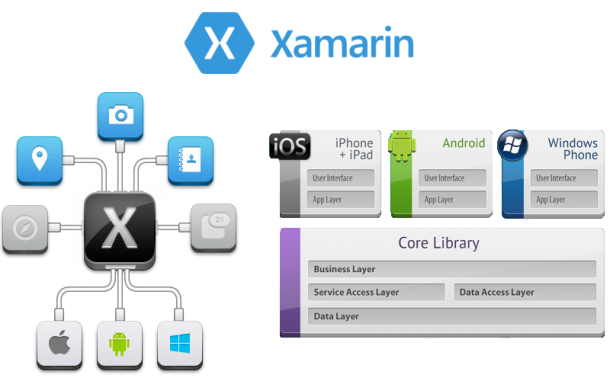 Xamarin Plugins are libraries that let you add cross-platform functionality to your mobile apps. This means that anyone can create and consume Xamarin plugins. The plugins support platforms like iOS, iOS Unified (64bit), Android, Windows Store, Windows Phone 8, and Windows Phone 8.1 RT. It abstracts device-specific functionality or exposes cross-platform APIs through a single interface. Xamarin plugins are bit-sized, having lesser or no dependencies, and has a simple mechanism to access a single mobile function or feature. There are a number of already developed plugins that Xamarin offers. Let us go through the following list to induce rapid mobile application development using Xamarin Plugins. Geolocation utilizes location services to provide users with a location just anytime. It is commonly used in location-based apps to display weather information, navigate to a destination, or find nearby restaurants. It is also used in applications like Snapchat that includes geofilters features (data entry forms that collect city, state, and zip code) to increase the conversion rates. By adding Xamarin’s Geolocator plugin to your projects, you can use GPS location services for all the major mobile platforms. It also increases the code volume that can be shared across various platforms and includes heading, speed and more. Media is a term often used to resemble the images and videos stored in a device. If you’re developing a mobile app that requires clicking images, recording videos and displaying the device’s image gallery, then Xamarin Media Plugin will be needed. It allows you to add the camera, audio and video capabilities on iOS, Android and Windows from a shared code. Xamarin’s Messaging Plugin allows you to add phone call, text message, and email functionality to your mobile app. Whether you want to make a phone call, send an SMS or an e-mail, the messaging plugin lets you do it from a shared code. It covers all the popular mobile operating systems – Android, iOS, and Windows. But adding attachments to email and sending HTML email is only possible on some platforms. Apart from these, Xamarin offers many other plugins to add functionality like the accelerometer, the system calendar, notification service, etc. Today, mobile app feature sets are quickly evolving and many a time it is difficult to expose the common services across different platforms using .NET. That’s when Xamarin Plugins can help resolve the problem and maximize the code sharing. Therefore, you can leverage rapid mobile application development(RMAD) with Xamarin Plugins to deliver high performance and native user experience. Hire Xamarin developer from Rishabh Software, for building robust and feature-rich cross-platform mobile applications. 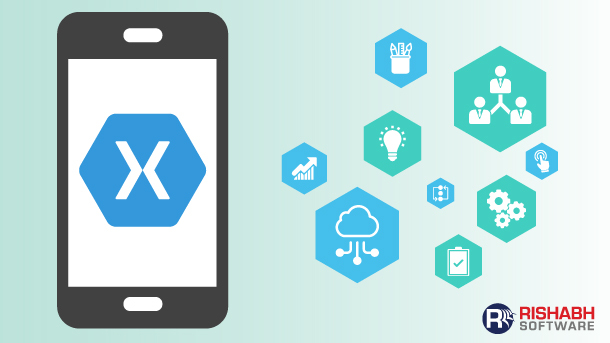 Why Enterprises Must Pay Attention To Xamarin For Native Mobile App Development?